Today, the effectiveness of recurring giving programs will determine which nonprofits succeed and which ones will fail. Donor retention has fallen to 41%, down from 50% just five years ago (Fundraising Effectiveness Survey Report). When compared with the 94% customer retention that commercial business touts, its clear that nonprofits will need to analyze their retention strategies in order to survive. The study goes on to illustrate how an increase from 45% to 70% in donor retention would result in an organization’s net growth increase from giving to 23% from 2%. So what strategy can nonprofits implement to boost retention? Since 53% of donors leave due to the charity’s lack of communication, storytelling provides the perfect opportunity to frequently engage and inform donors about activities within your organization. Stories have an ability illustrate the reality of problem in a way that resonates with loyal donors. Chances are that your donors are supporting your cause because it aligns very closely with their core beliefs. Stories can convey relevance and provide context for their decision to give again and again. Real stories. Real people. Real impact. Stories that demonstrate the culmination of donor support satisfies the very desire that inspired them to contribute in the first place. Sharing stories will keep your cause top of mind without fear of over-solicitation, which would most likely result in donor attrition. Stories reveal how donors are helping. Storytelling demonstrates a focus on outcomes. Certainly donors would love to take your word for it, but the best way to articulate the mission of your organization is by sharing results. Your organization’s commitment to storytelling is a demonstration of your commitment to solutions. Another factor responsible for impeding donor loyalty is an insufficient explanation of return on investment. In fact, the second most frequently reported reason for halting recurring gifts was “a feeling that the charity was not making the best use of its financial resources.” Succinct and informative stories will communicate key data that reaffirms a donor’s commitment to the cause. It’s happening. It’s real. It’s now. Stories place the need in a real time and place that align with the donor’s perspective. There are many ways to share your stories. Stories can be distributed through your organization’s existing channels, both online and offline through traditional marketing. With an abundance of platforms and production tools available today, stories can be produced and distributed through website blogs, email newsletters, videos and social media. 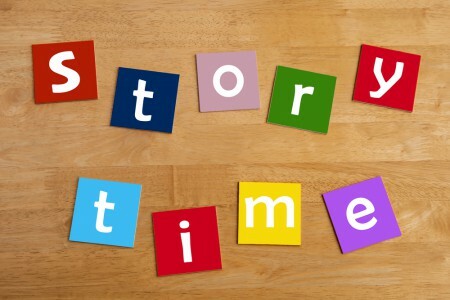 Are you ready to produce your organization’s next story? Read these Five Essential Storytelling Components for Nonprofits and contact Big River to learn how we’ve helped our partners implement tools and strategies to retain loyal donors.